Now that you’re enjoying the comfort of your new awning, we want to make sure you know how to care to ensure it looks great for years to come! 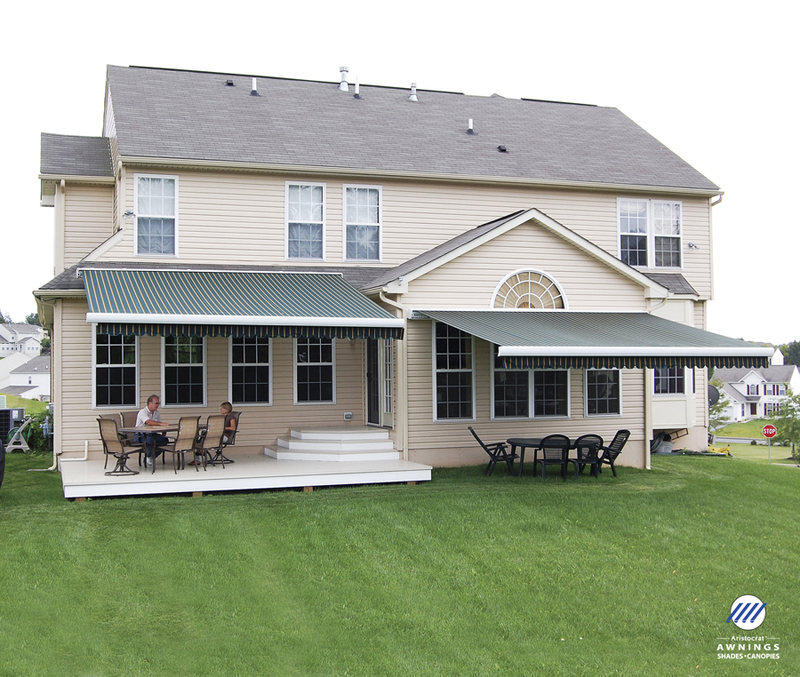 Want to have the beauty and comfort of an awning at your home? Call Us for a Free Estimate! In order to prevent substances such as dirt, bird droppings, or residue from your roof to become embedded in the fabric you should regularly clean the fabric. Luckily this is a convenient process and don't even need to remove the fabric! Use a soft brush to remove any loose dirt, hose it down and use a mild natural soap like Ivory® Flakes or Woolite® in lukewarm water. Rinse thoroughly to remove all the soap and allow the fabric to air dry before retracting. Only two big No’s, No’s, DO NOT ALLOW THE WATER TO PUDDLE ON THE FABRIC and DO NOT USE DETERGENT. Using this easy and convenient cleaning method you will ensure your fabric looks fresh for years to come! Turn the gear with the supplied crank handle in one direction to extend awnings or lower shades. Turn in opposite direction to retract. Crank handle should be held at the same angle as the eyelet when operating. The crank handle may be removed when not in use. Refer to instructions supplied by the motor manufacturer. Note: Avoid overheating the motor. Repetitive uses can cause the motor to overheat. The motor will disable itself for a 15-20 minute cooling period, rather than allow itself to be damaged by excessive heat. This is a designed-in safety feature. The lateral arms will be flexed, but locked, at the elbow when fully extended. This is normal. The arms will not be fully straightened out, DO NOT try and straighten the arms you will damage your awning. When you open your awning, be careful not to roll the fabric out past the gear stops where the elbows lock out and the fabric begins to sag. If this happens, roll the awning back until the fabric becomes tight again. 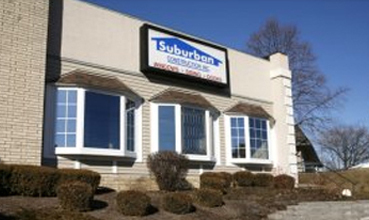 Retractable awnings are intended as protection against sun only. Do not use in strong wind, rain, hail or snow. 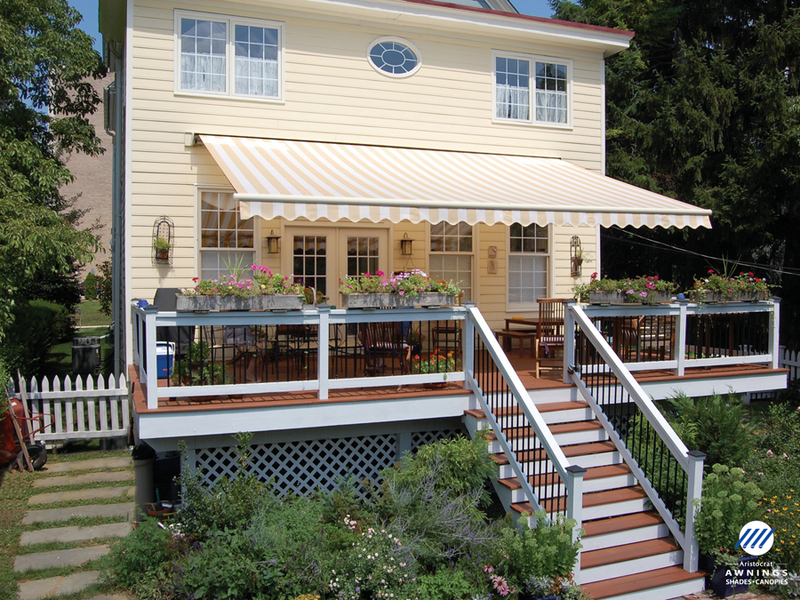 We recommend that patio awnings be and remain retracted in wind speeds of 20 mph or greater.Do not allow twigs or leaves or any other solid debris to be rolled up in the awning.When retracting, do not jam the front bar tight against the rolled fabric.The fabric should always roll off the top of the roller tube and never from underneath. If that should happen, please contact the authorized dealer who installed your awning. We hope your shade products will get lots of use. So it’s a good idea to check the mounting bolts and screws and make sure they haven’t come loose over time. Give them a once-over before winter storage,or when you begin the outdoor season. If you discover a problem and aren't sure how to tighten loose attachments on your own, schedule a maintenance service call from you dealer. Preventive maintenance is always well worth the cost of the service call! Retract the awning or canopy for winter. If your awning has a hanging valance, remove it by sliding it out from the front bar. Put it in a well ventilated dry area. Don't store it in a plastic bag as this will trap moisture and could produce mildew. Please enter the number 89476 in the box provided below.